In our live stream this week Scott Hiley and Joe Sims highlighted the Trump administration’s new attack against working class immigrant families. Trump is proposing to deny green cards to anyone receiving government assistance by changing a Homeland Security rule regarding “public charges.” “Public charges” is government-speak for anyone receiving public assistance. As a result, thousands of families are withdrawing from child nutrition, health, and other programs. Only two weeks are left for public comment on the proposed rule change. You can tell Homeland Security. “Hell no” here. A related topic taken up in our conversation is ruling class popularization of the concept of “populism” and its relationship to both right-wing and liberal ideology. Here the racist scapegoating of immigrants is highlighted instead of blaming the real culprits of the ongoing crisis of wages and living conditions, namely the big banks and transnational corporations. 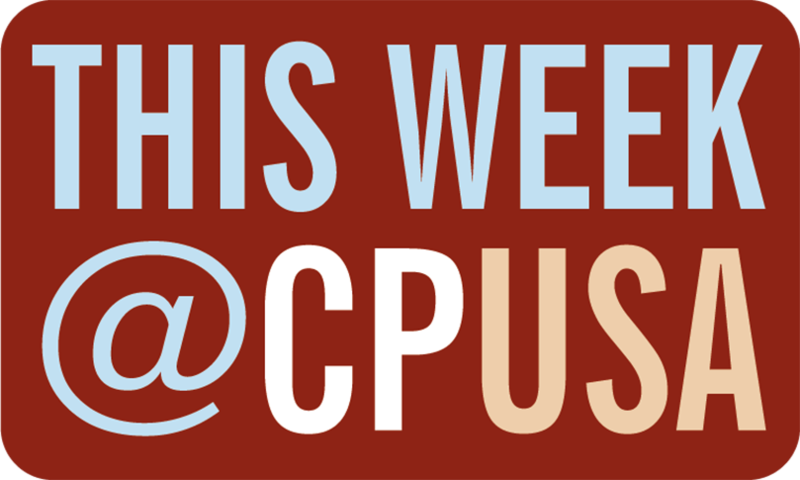 All of this and more in This Week @CPUSA! What is to be done about the Trump shutdown?